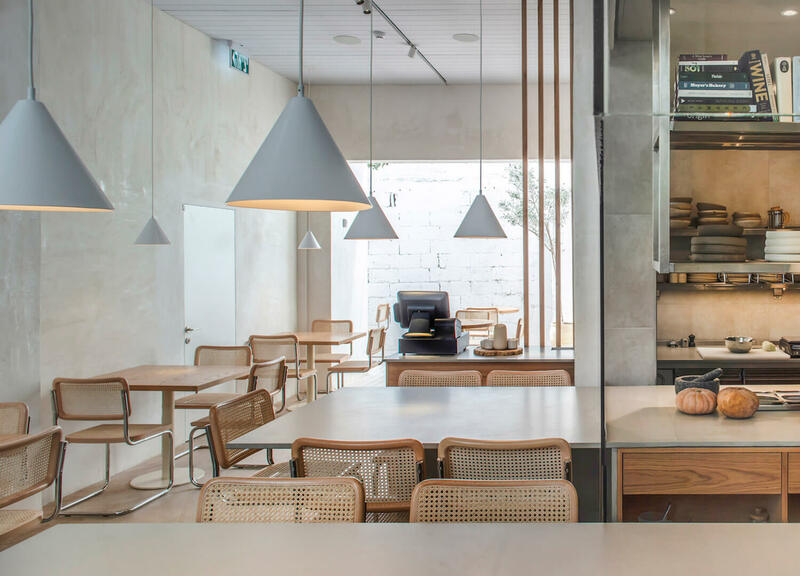 In the neighbourhood of Tel Aviv’s Levinsky Market comes Opa, a 35-seat culinary experience envisioned by Vered Kadouri and Craft and Bloom. Connecting diners back to the beauty and generosity of nature, Chef Shirel Berger puts clean, plant-based eating into the spotlight with a bright interior to match. 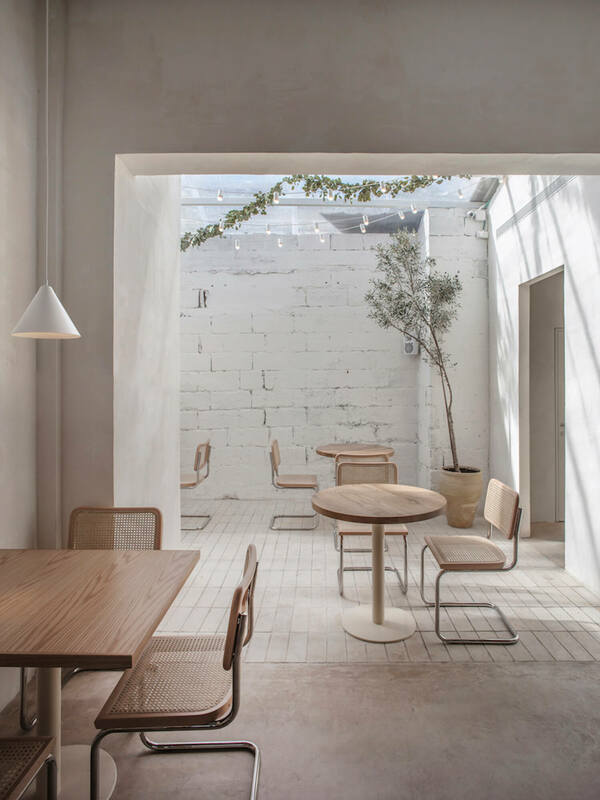 Believing that food should be consumed through the eyes as much as the mouth, the interior of Opa is serene and tranquil, pairing in perfect unison with the menu – which allows each dish to take centre stage. The design challenge was obvious – how do you create something refined and upscale given the busy and makeshift surrounds? 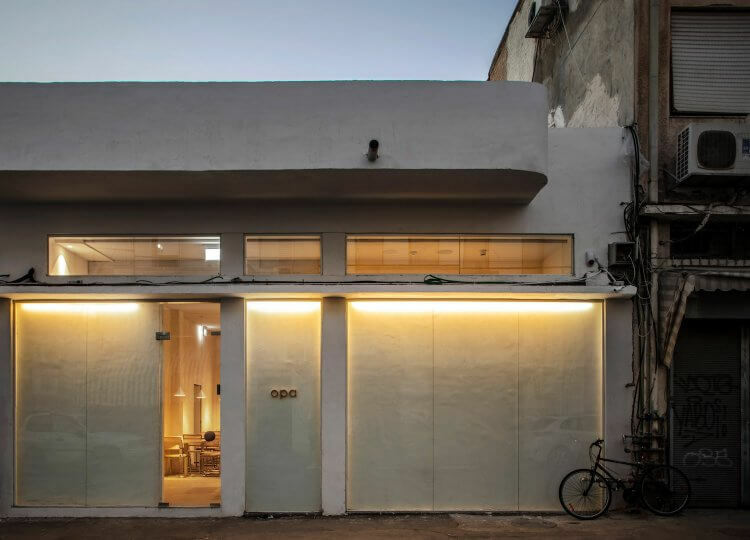 By removing the existing metal grates which occupied the former tenancy, as well installing a drywall finish behind a glass façade, the restaurant hit two birds with one stone. 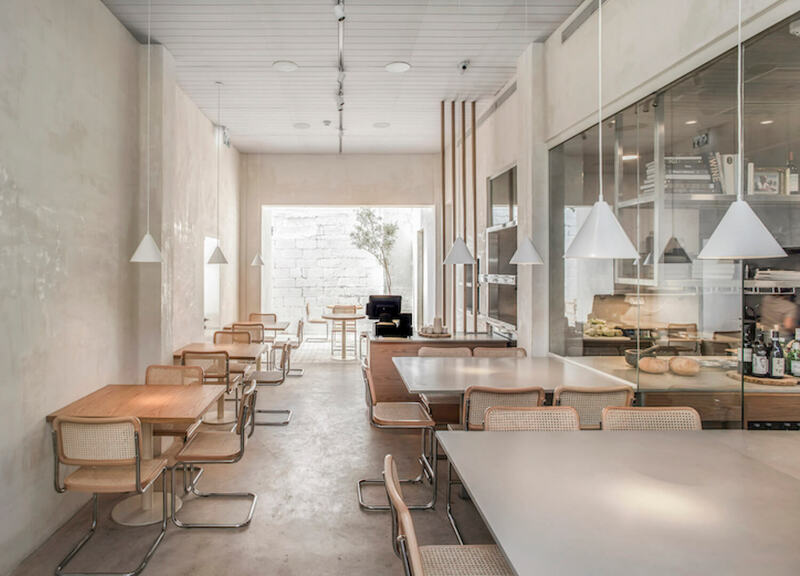 The double layer at the very front end of the restaurant functions as a sound barrier, ensuring patrons an escape from the hustle and bustle of the market. 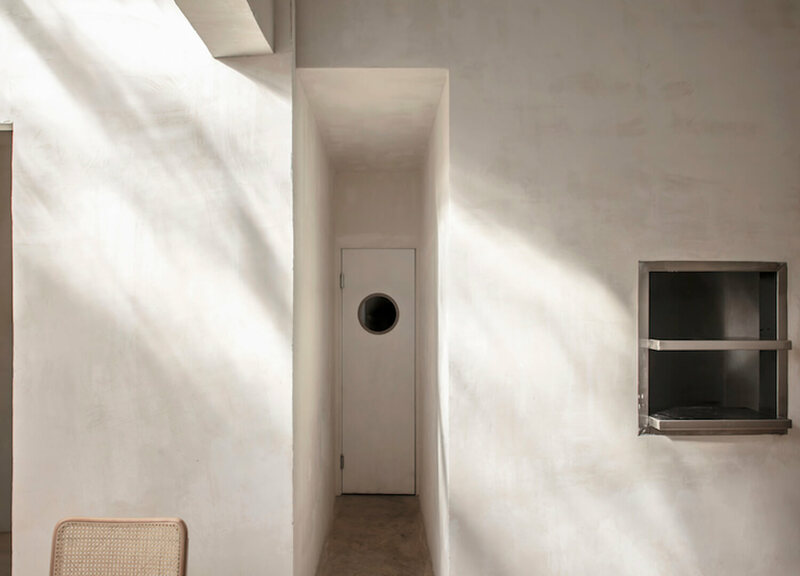 All the while, the sleek and simple interior decor achieves the project’s original impetus. 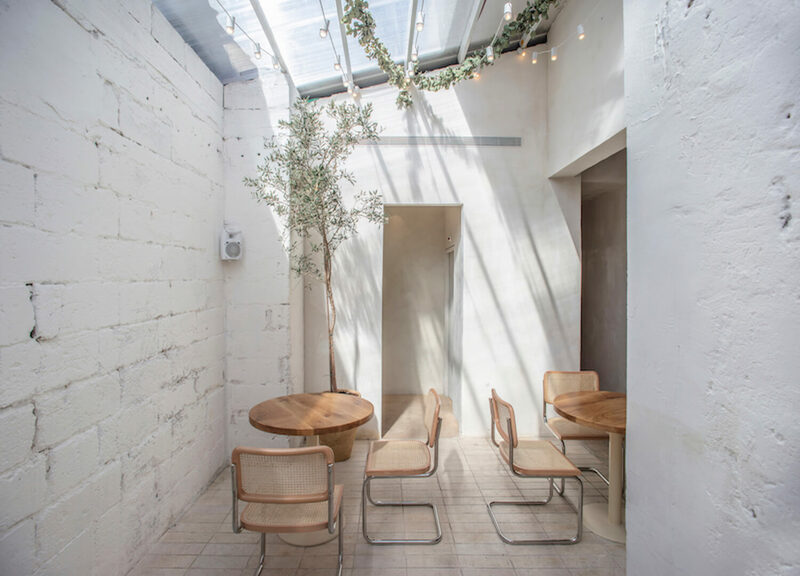 A skylight was installed above the patio at the rear of the restaurant to flood the space with natural light and providing further opportunity for a greenery area. Almost all decor items were sourced locally including the Hevron stone used for the Patio which was hand-cut just 25 minutes outside of Tel Aviv. 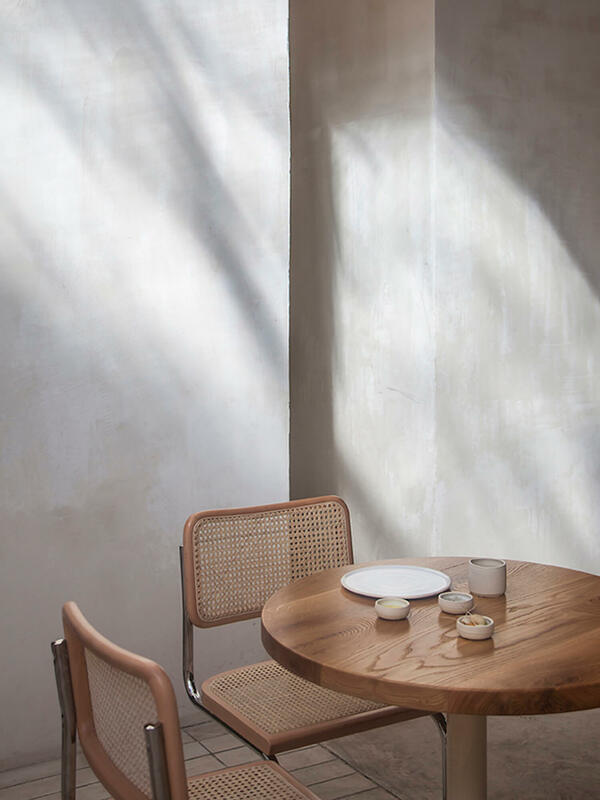 Ceramic tableware by local ceramicist Merav Waldman and vases by Out Wandering ceramics combine with the white and neutral plaster walls to suggest the trio’s affinity for rustic minimalism. A glass enclosed kitchen positioned near the entrance allows patrons to see their meals being prepared directly, bringing transparency quite literally to the forefront. Berger’s workspace aligns level with the guest’s countertop seating, modestly putting her and her patrons on the same plane. 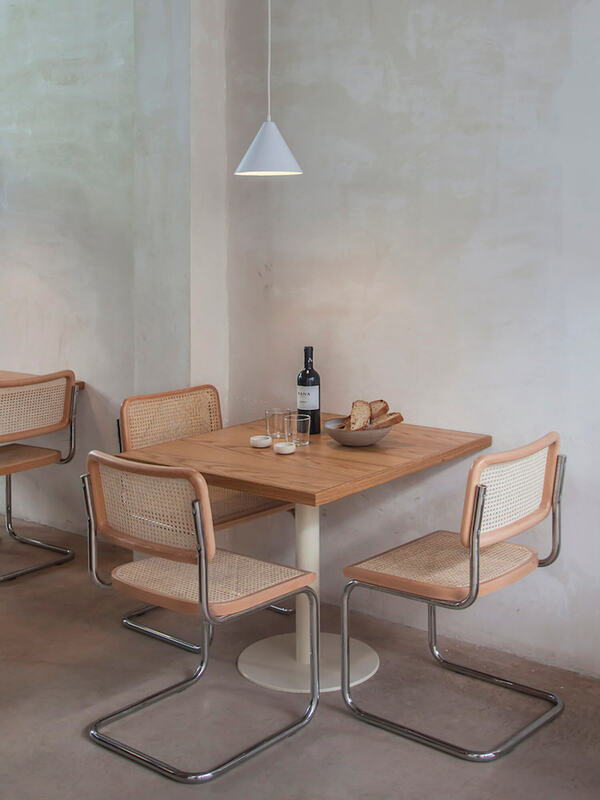 The space is a physical manifestation of what inspires Berger’s cuisine: clean, understated and locally sourced materials with an air of understated elegance. You can’t get any better than ‘what you see is what you get’ as the guiding motto to live and eat by. 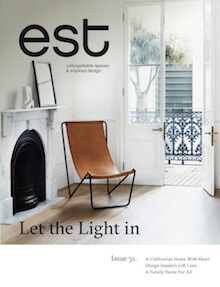 The post Opa by Vered Kadouri and Craft and Bloom appeared first on Est Living Free Digital Design Magazine.